Kino Flo’s innovative Celeb LED line up is a soft, cool LED ideally suited for today’s growing demands for energy efficient, portable, yet color-correct LED lighting. 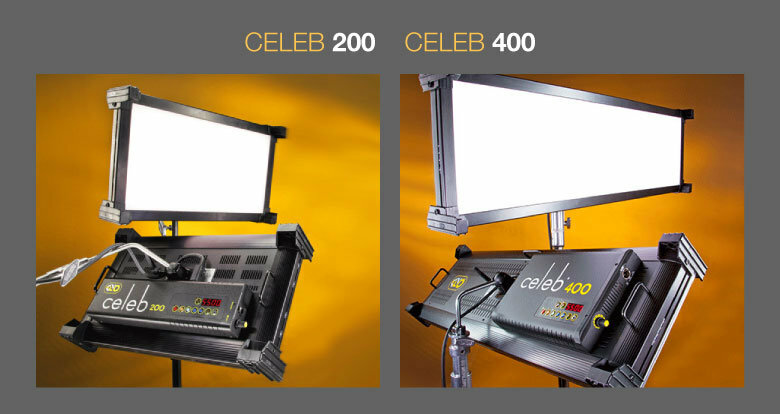 The Celeb joins the Kino Flo family of Academy Award-winning lighting systems. 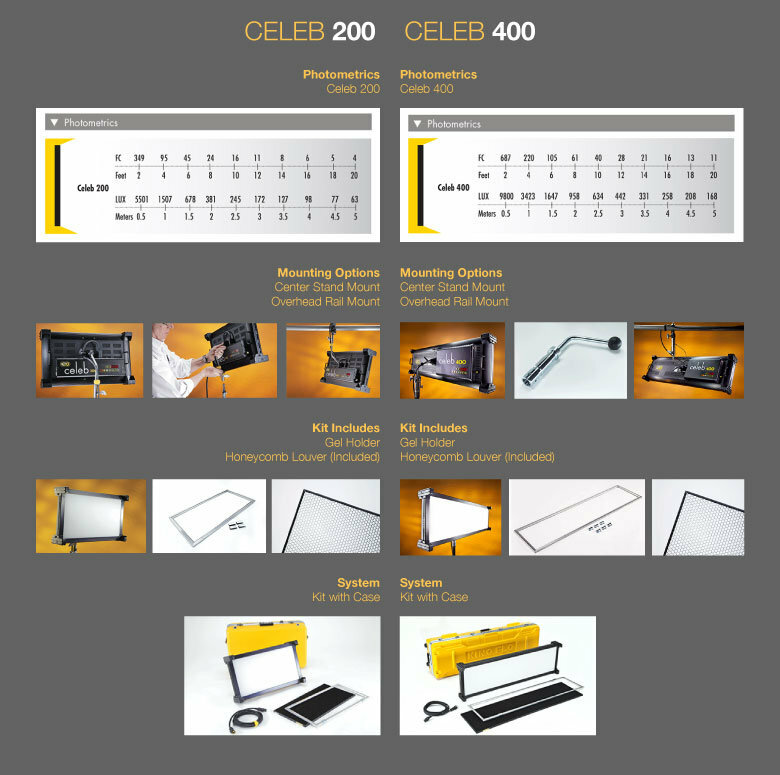 As with all Kino Flos, the Celeb’s soft, lustrous color has been specially formulated to match the spectral distribution curves of HD film and video cameras. With a high photo rendering index (PRI 95), the Celeb operates coolly and flicker-free, even while dimming, and maintains its True Match® color temperature without any color shift. The all-in-one metal alloy fixture includes onboard and DMX dimming and runs universally at 100-240VAC or 24VDC. 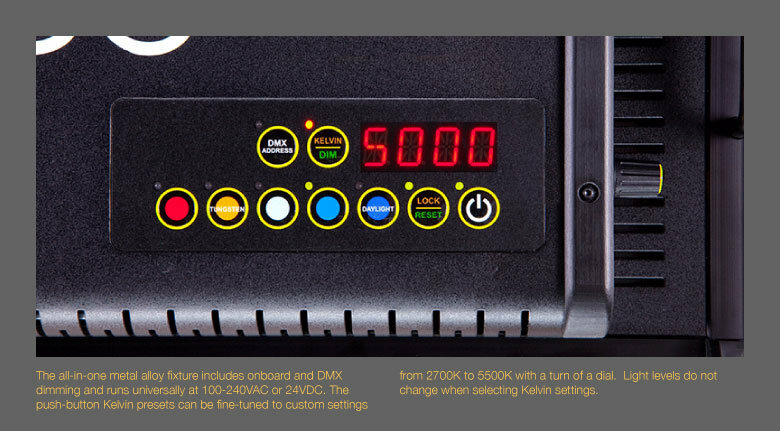 The push-button Kelvin presets can be fine-tuned to custom settings from 2700K to 5500K with a turn of a dial. Light levels do not change when selecting Kelvin settings. The Celeb’s slim profile mounts onto a junior stand or can be hung from a grid with a junior pipe clamp.